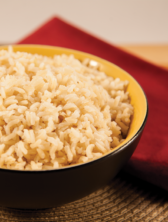 Augason Farms® Long Grain Brown Rice stays fluffy after cooking. It’s great for use in salads, casseroles and stir-fry dishes. Brown rice bran and germ layers contain more nutrients than white rice, making it a naturally healthy choice to add to your food storage supply and for everyday use. 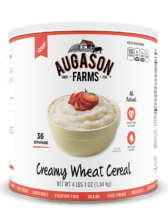 Augason Farms Creamy Wheat Cereal gets it popularity from its delicious taste and its multi-purpose uses. For variety, add Augason Farms freeze dried fruits like strawberries, raspberries or blueberries to your Creamy Wheat Cereal. 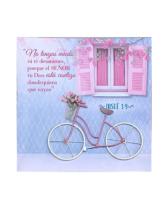 You’ll also find this product can be added to muffin and cookie recipes for additional nutrients and flavor. There are several ways to enjoy this delicious cereal, which is why it’s perfect for everyday use, in your 72 hour kit, stored with your long term food storage or used as emergency food if a need arises. 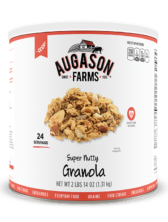 Augason Farms Super Nutty Granola has just the right amount of yummy sweetness and chewy crunchiness. Granola is an incredibly versatile food pour it in a bowl and add a little milk for a superb breakfast cereal or use it as a base for building a down-to-earth trail mix or for making cookies or muffins. Practical and rewarding, this granola is great for everyday use as well as for long term food storage. Augason Farms Regular Rolled Oats make for a good hot or cold cereal that gives long lasting energy and can also be readily added to many recipes. Oats are definitely a versatile item to keep in your food storage. 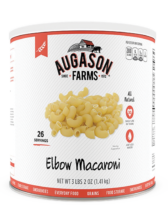 Augason Farms Elbow macaroni is used for more than just macaroni and cheese. It can be used in casseroles, pasta salads and any other noodle dish. A long shelf life guarantees its spot as an essential and versatile survival food. 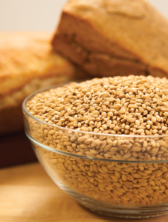 Augason Farms® Hard Red Wheat is a versatile staple in any food storage reserve, useful in a variety of ways. It can be cooked up for a delicious cereal, sprouted for greenery in salads or ground into full-bodied flour for baking. It’s low in moisture, high in protein and known for its storage and baking virtues. 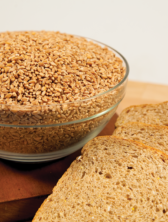 When you’re looking to start from scratch to get that whole grain goodness, look no further than Morningside’s Hard Red Wheat for everyday use as well as emergency food storage. 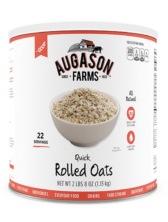 Auguson Farms Quick Rolled Oats are the perfect whole grain food for baking or for a hot breakfast cereal. 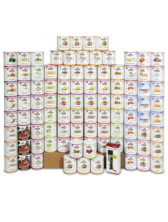 Top it with any Augason Farms freeze dried fruit for a delicious start to your day. 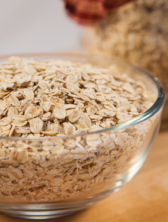 Oats are recognized for helping to reduce cholesterol and they’re loaded with vitamins and minerals. Not only are Quick Rolled Oats an exceptional choice for food storage, they only take minutes to cook, making them perfect for everyday use as well. Add them to pancakes, bread, cookies or muffins for a nutty taste and chewier texture. Augason Farms® Hard White Wheat, when ground, produces light colored flour for light breads. Still, it retains all its whole grain goodness and nutrition. Because of its light color and high gluten content, it’s perfect for bread making, especially French bread and pizza crusts. 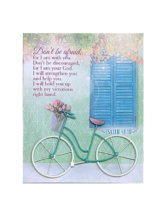 It can also be sprouted for adding a wonderful nutty flavor and nutrition to a variety of dishes. Wheat naturally stores well, making it a staple in any food storage program. The hard white wheat comes sealed in a pail that keeps moisture out and goodness in.